The third war of the century is not fought with just spears and swords. Use your mind and develop a strategy to victory in Civilization Wars 3! Choose one of the three tribes and prepare for a very long war! Drag your forces from one base to another and occupy the enemy territory! Civilization Wars 3 is a strategy game where your goal is to defeat other civilizations and expand your territory. Drag the units and send them to other places. Attack establishments and conquer specific spots. 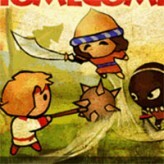 Try to defend your territories as enemies may also come in invade. 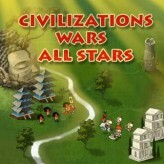 Develop and use a strategy to get rid of the other civilizations before they get the upper hand in the war. 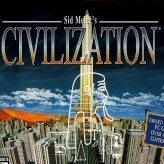 Can your civilization win the battle? Don’t forget to have fun while playing! There have been 551 plays and 2 likes from 7 votes (29%) since 08/03/2016. You are currently playing Civilization Wars 3 game for free on Arcade Spot. It is a single game out of a variety of games that you can play on Arcade Spot. Play more games like Civilization Wars 3 in the Action, Challenge, Strategy, and Tower Defense gaming categories. 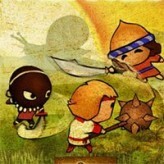 This game has a rating of 29 out of 100 based on 7 user ratings. If you enjoyed playing the game, give it a thumbs up. Free Online Games and Arcade Games are added every day. Arcade Spot will bring you the best games without downloading and a fun online gaming experience on the internet.